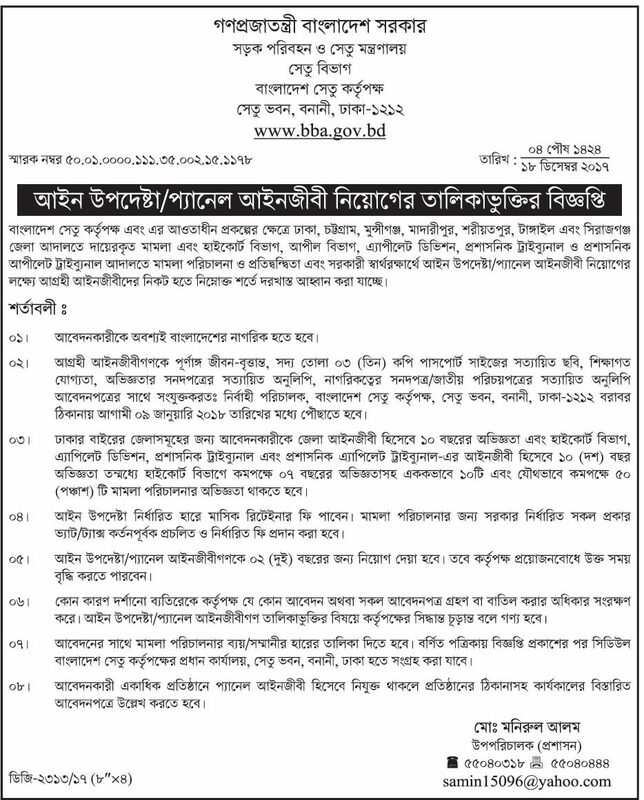 Department of Roads and Highway of Bangladesh authority yesterday announced a job notice for a few posts. The circular will be continued up to 14th Jan 2018. Bangladesh Roads and highway department job is a very good career and it’s government job. Applications Starts: Starts on 15th Dec 2017. Applications Deadline: Application will be continued on 14th January 2018. Department of Bridge has announced a new job circular on 19th July 2017. The deadline of the circular is 10th Dec 2017. To get online application form visit www.bba.gov.bd. The circular has given below.